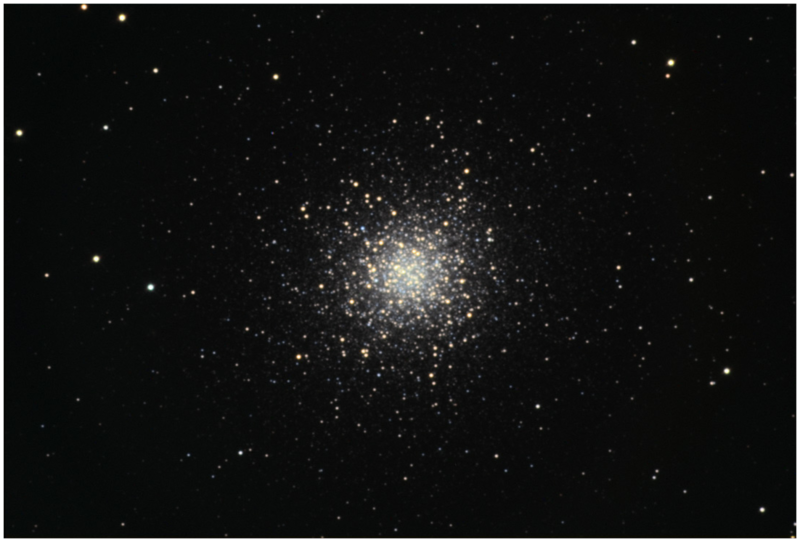 At a distance of 23,000 light years from Earth , this globular cluster is estimated to consist of approximately 300,000 suns which are bound together by mutual gravitational forces. 30 minutes each of Red, Green and Blue, 2x2 binning. Image acquired using SBIG St-10XME camera with Astrodon filter set through 10” Astro–Tech AT10RC Ritchey-Chretien telescope.